Chickens reared in more spacious lower density environments with access to open outdoor ranges. Raised on non genetically modified feed and allowing for more natural growth. We need to be more aware of the dreadful conditions standard broiler chickens can be reared in. 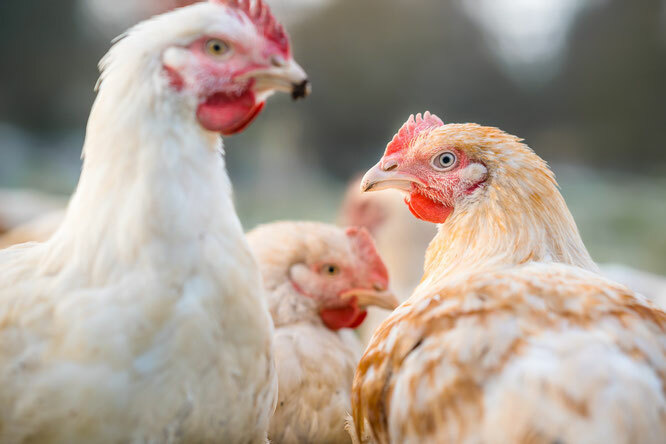 H&T Foods remain committed to supplying the finest chicken, reared to meet much higher welfare standards at every stage. H&T Foods aims to provide an opportunity for everyone to live more fully in line with their values. We distribute H&T Chicken nationally and endeavour to make higher welfare halal chicken a more affordable and accessible option.